Our chlorine hose products are manufactured to the highest standards to meet or exceed your custom application’s requirements. Proven Performance • Engineered specifically to meet the critical application conditions of chlorine transfer • Used worldwide by major chemical producers • Meets or exceeds the Chlorine Institute guidelines. 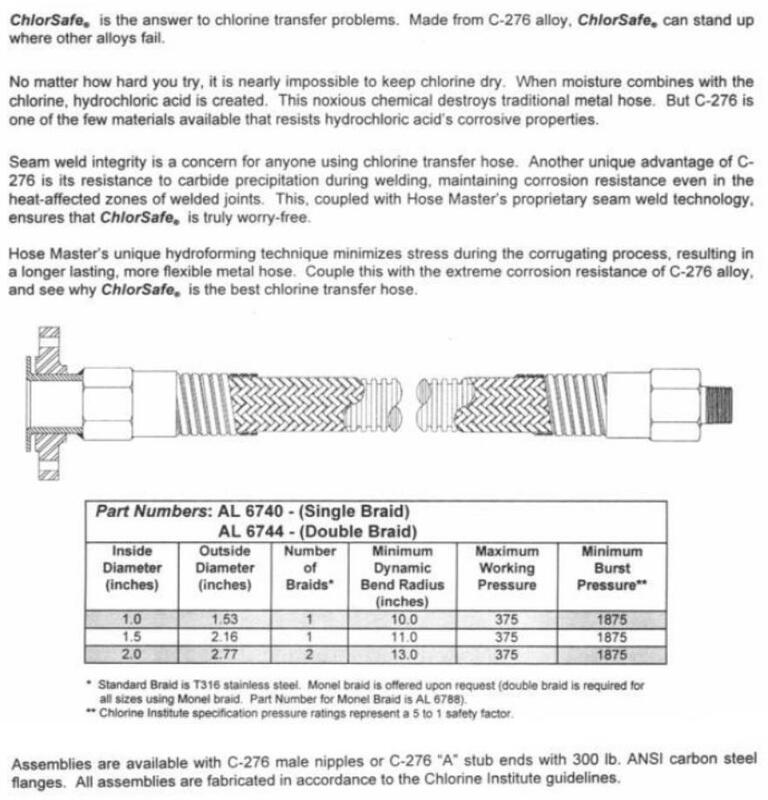 For additional information regarding our Chlorine Hose products and your specific application, please contact us. 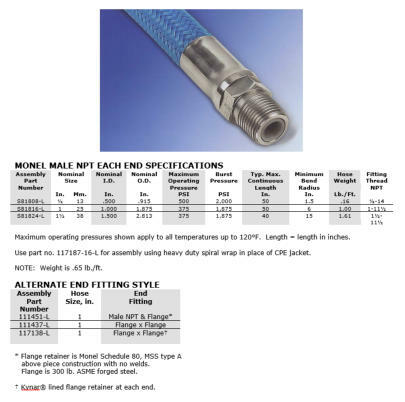 Applications • Sizes 1” – 1½” chlorine hose for rail car loading and unloading • Size ½” chlorine hose for replacing copper whips at chlorine repackaging plants filling 1 ton containers and 100/150 lb. cylinders Temperature Range • -40°F to 120°F (-40°C to 49°C) Construction • Convoluted PTFE cone with a double-layer of Kynar® braid • 1” to 1½” sizes are covered with a CPE jacket for abrasion protection • New optional heavy duty high density polyethylene spiral wrap is available • Schedule 80 Monel male pipe fittings • Monel schedule MSS type A stub ends available for 1” size • ½” size male fittings have a press-fit Kynar® liner/insert to prevent erosion. 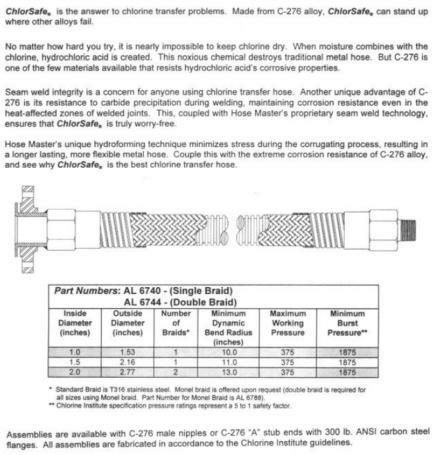 NOTE: Outer Kynar® braid on ½” chlorine hose is for abrasion protection only. 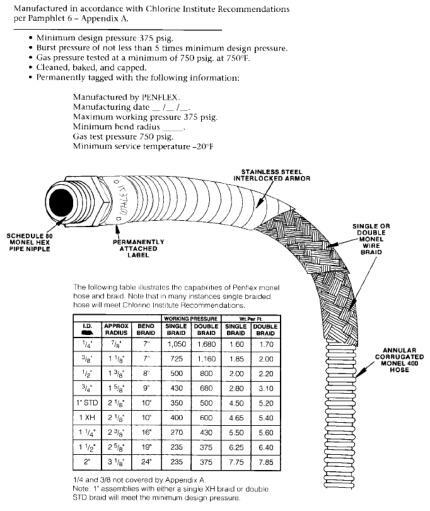 For more detailed info reguarding metal hose selection, view our STAMPED page! Applications • Sizes 1” – 1½” chlorine hose for rail car loading and unloading • Size ½” chlorine hose for replacing copper whips at chlorine repackaging plants filling 1 ton containers and 100/150 lb. 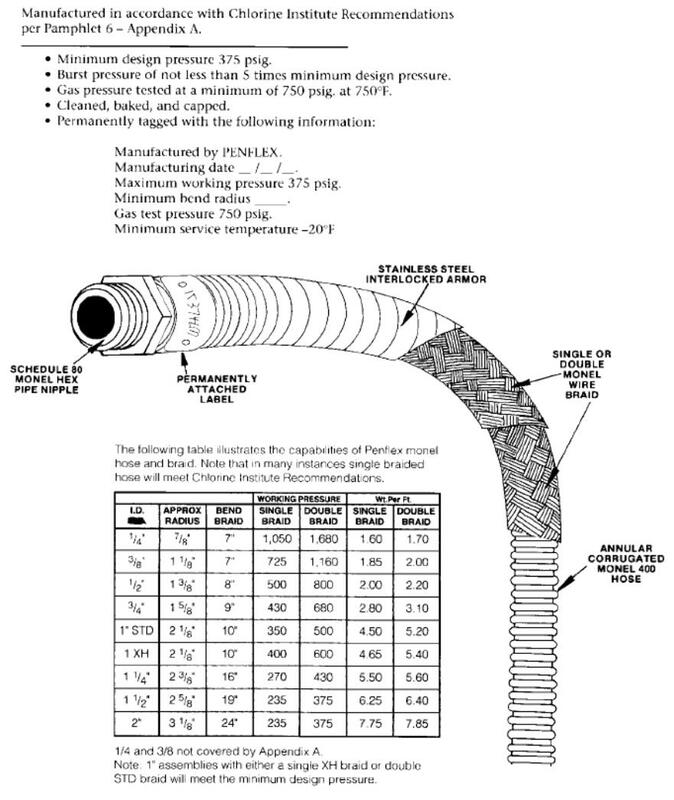 cylinders Temperature Range • -40°F to 120°F (-40°C to 49°C) Construction • Convoluted PTFE cone with a double-layer of Kynar® braid • 1” to 1½” sizes are covered with a CPE jacket for abrasion protection • New optional heavy duty high density polyethylene spiral wrap is available • Schedule 80 monel male pipe fittings • Monel schedule MSS type A stub ends available for 1” size • ½” size mails have a press-fit Kynar® liner/insert to prevent erosion. 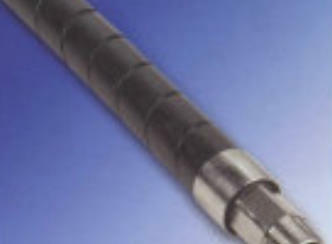 NOTE: Outer Kynar® braid on ½” chlorine hose is for abrasion protection only.